1. A coloring book-inspired mug that charts their travels. Reminisce on journeys near and far with this color-it-yourself mug. 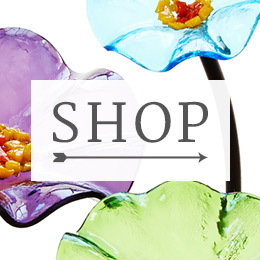 Helpful hint: Bake each time to set the ink. 2. Extra “spirited” Arabica coffee beans. 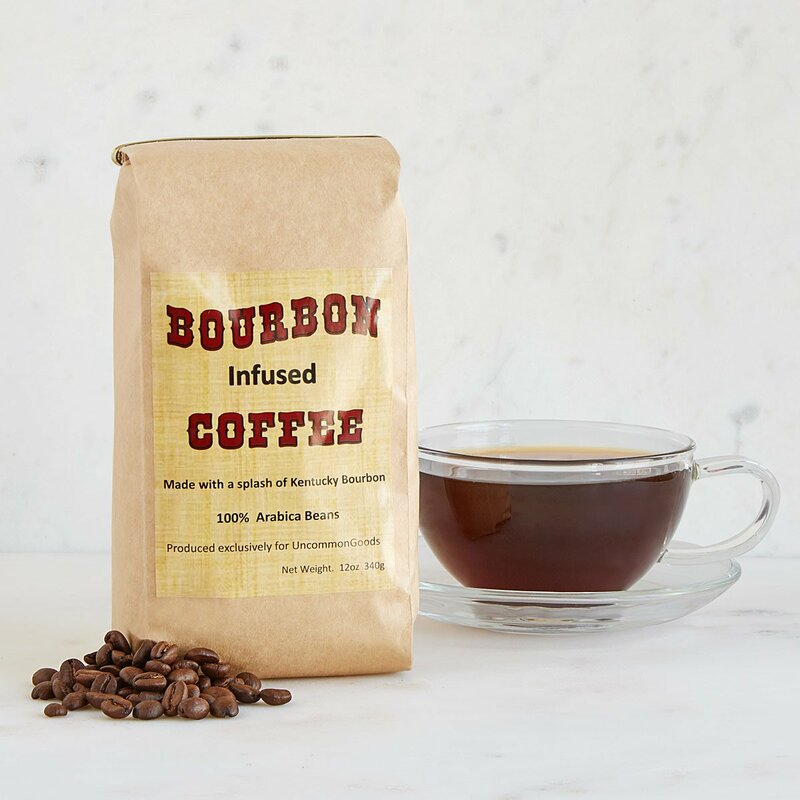 Kentucky’s signature booze makes a cameo in this bag o’ beans. 3. Finnish bedrock that relieves tired peepers. 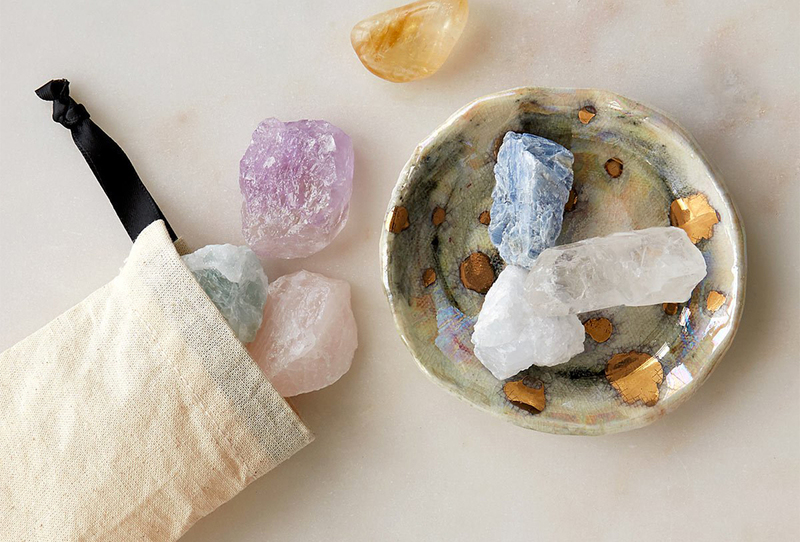 They’ll love chilling out with these stones that soothe puffy and/or itchy eyes. 4. Their very own beer-opening dog. Scruffy’s got the IPA coming, stat. His secret? Powerful magnets. 5. 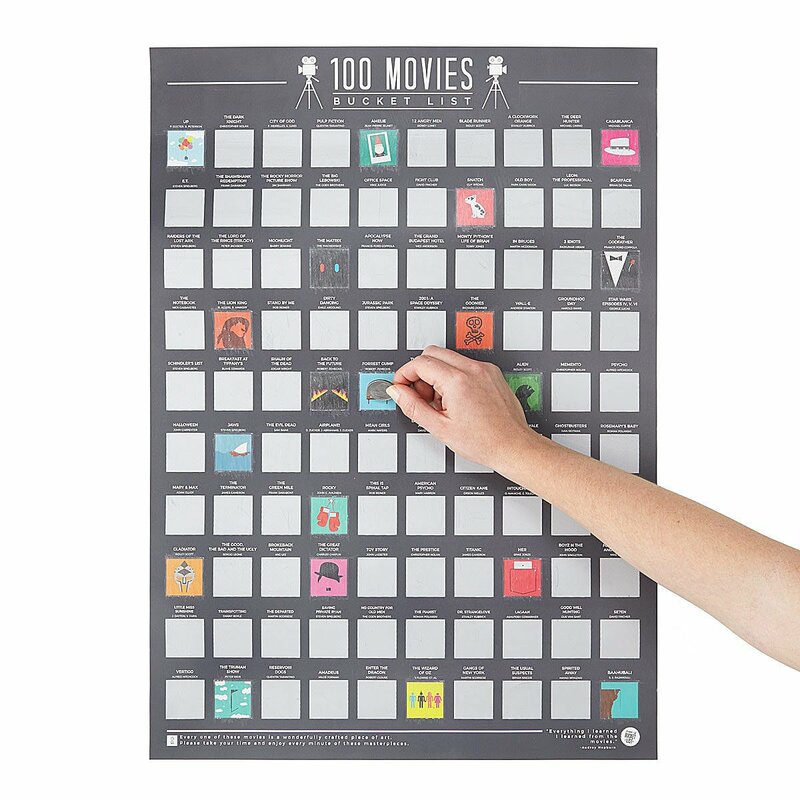 A poster that lets ’em scratch their way through iconic movies. Encourage them to grab the popcorn and get to watching these fantastic films from Casablanca to Jaws. 6. 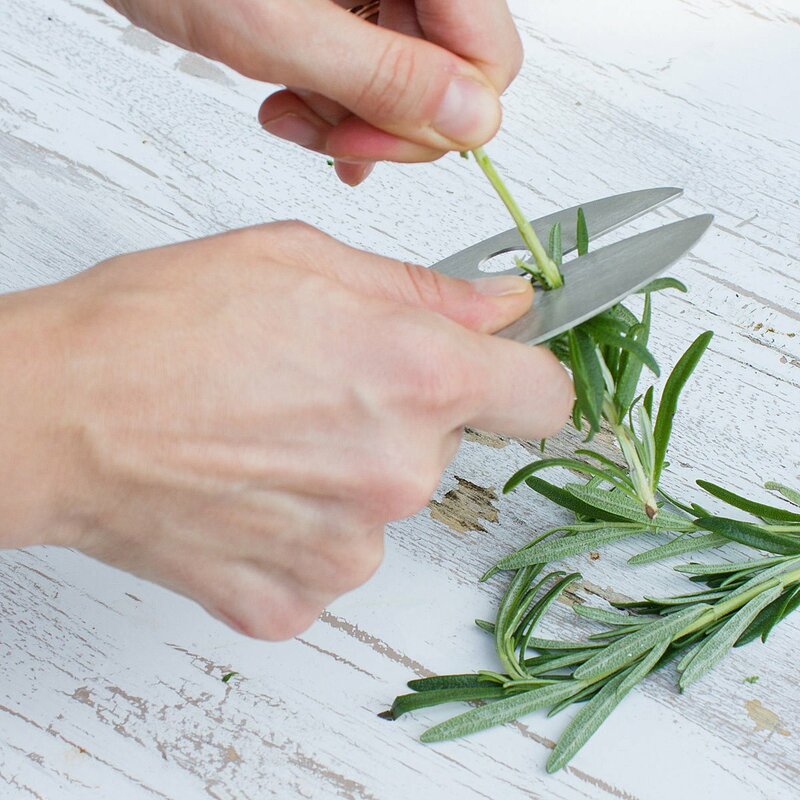 A way to shear kale (and herbs) in seconds. Nobody likes a stem in their salad, right? Cue this steel gadget. 7. 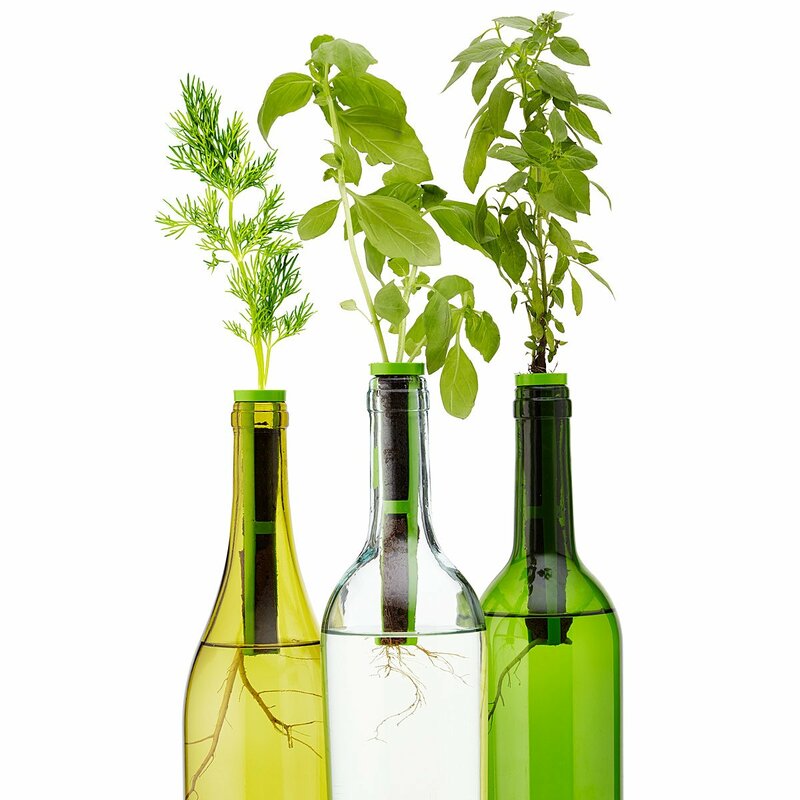 A gadget that turns an old wine bottle into a micro garden. Their old wine bottles go from Bordeaux to basil (and dill) with these hydroponic stoppers. 8. A water bottle that was a life coach in its past life. 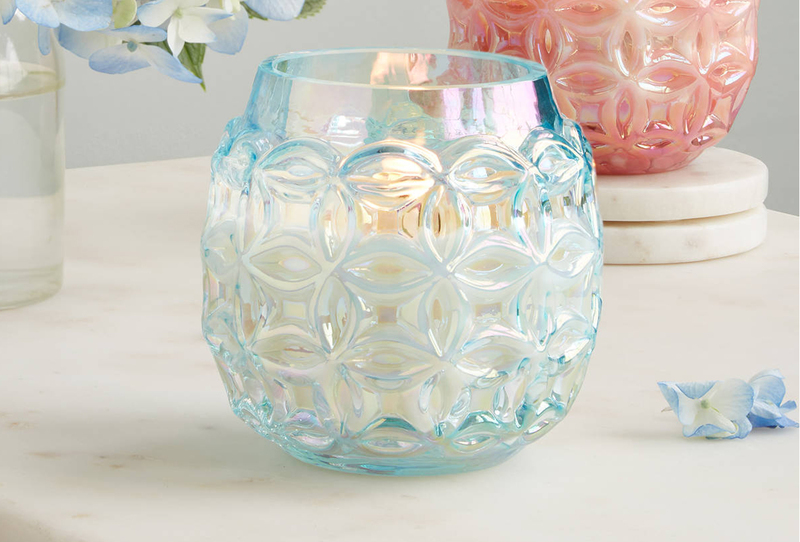 They’ll get to hyrdrating in no time with this glass bottle. 9. 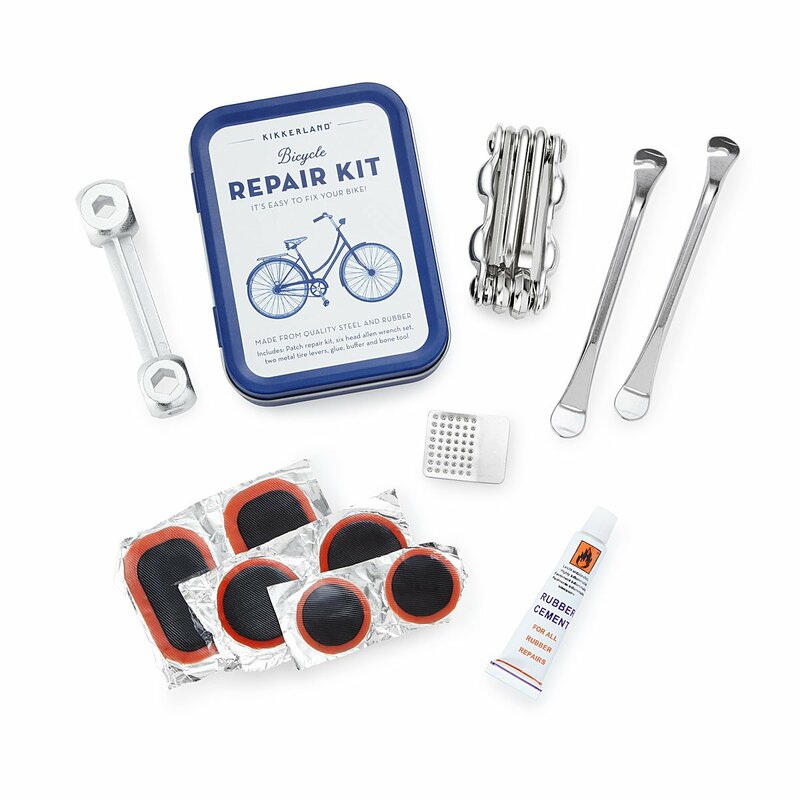 All the basic bike-tuning tools in a pocket-sized tin. Are they known to wheel their heart out? This pack has their back. 10. 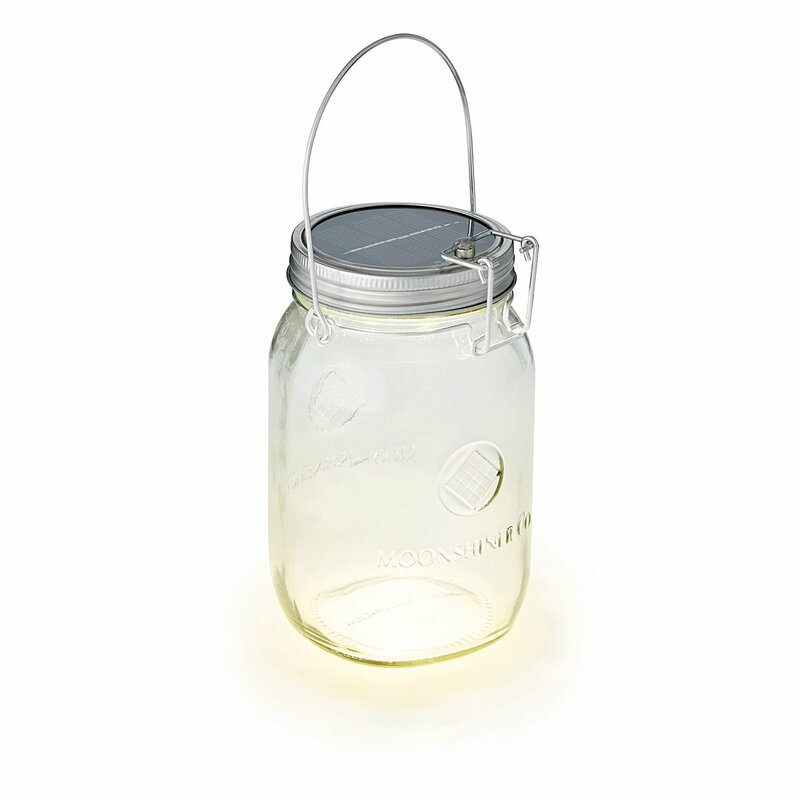 This mason jar light is fueled by the sun’s energy. Illuminate their adventures no matter how far they stray from civilization. 11. 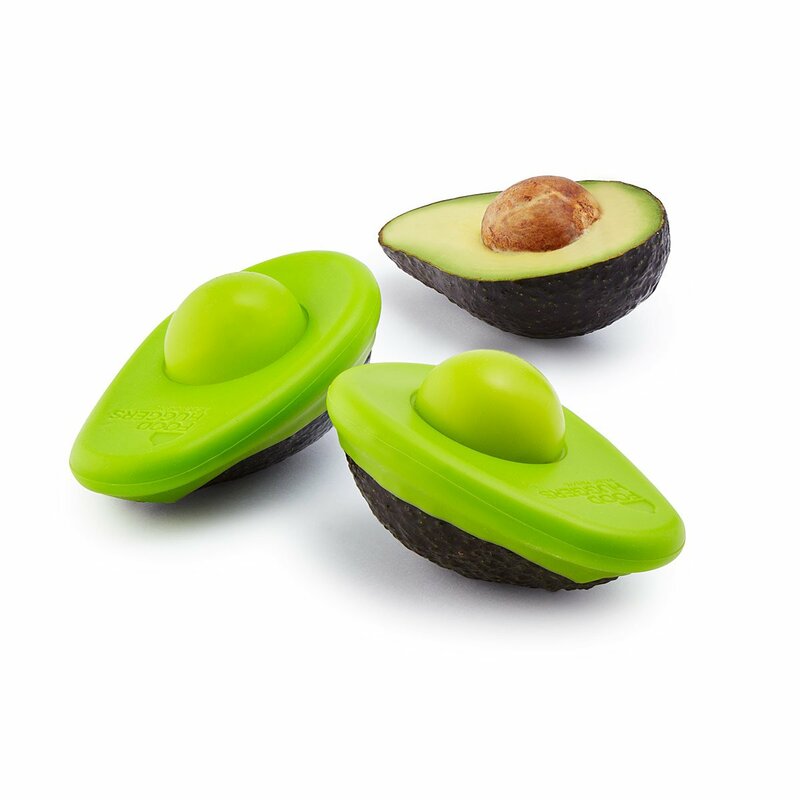 A cure for avocado casualties. A hugged avocado is a happy (and fresh) avocado. 12. 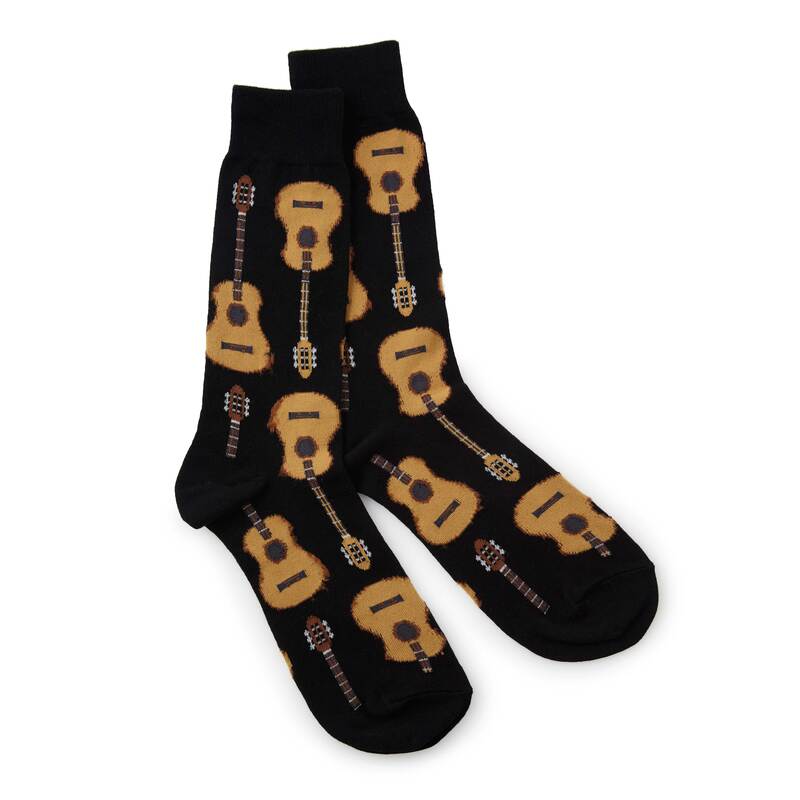 Socks to complement great strummers. Just because they’re made from cozy cotton doesn’t make them any less rock-n-roll. 13. 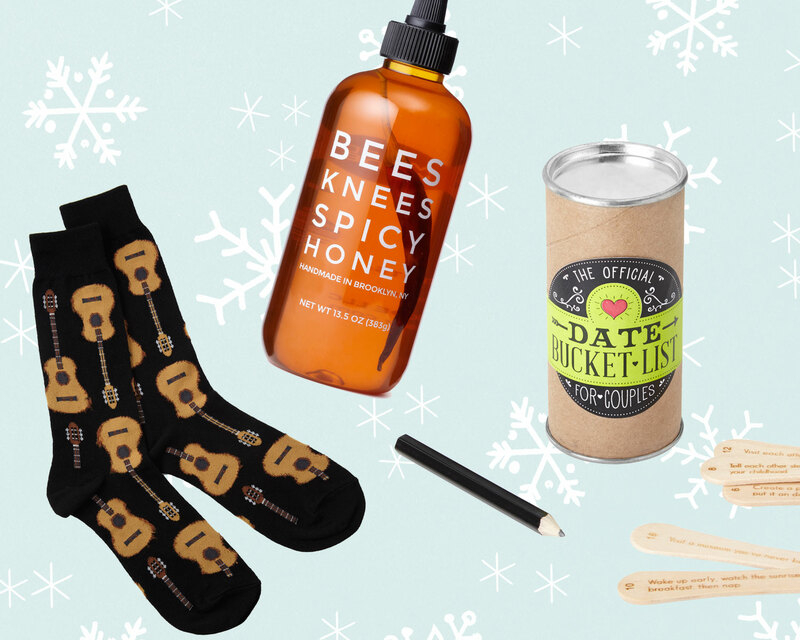 Unexpected prompts to give their date nights a makeover. 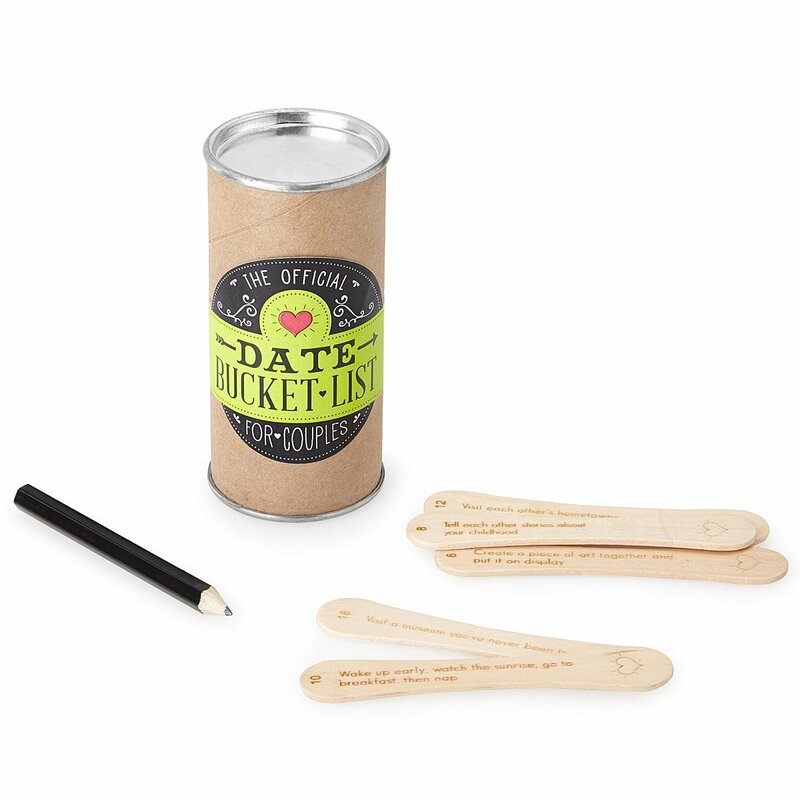 Birch wood sticks offer surprising new adventures like stargazing or checking out a local museum. 14. 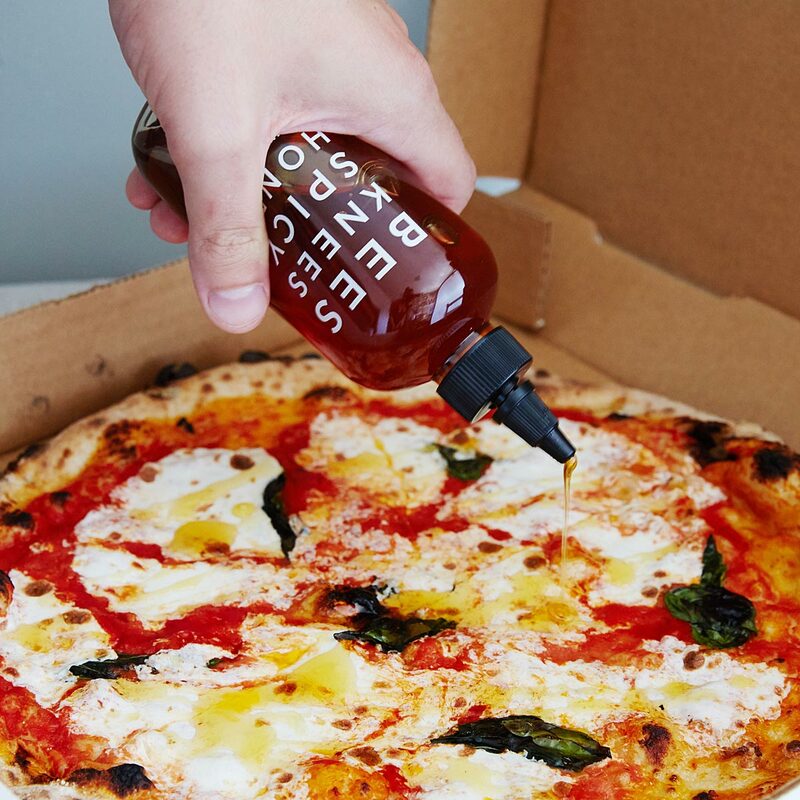 Honey with a spicy side. Don’t call this honey “sweet.” Its got a kick and it’s not afraid to use it. 15. 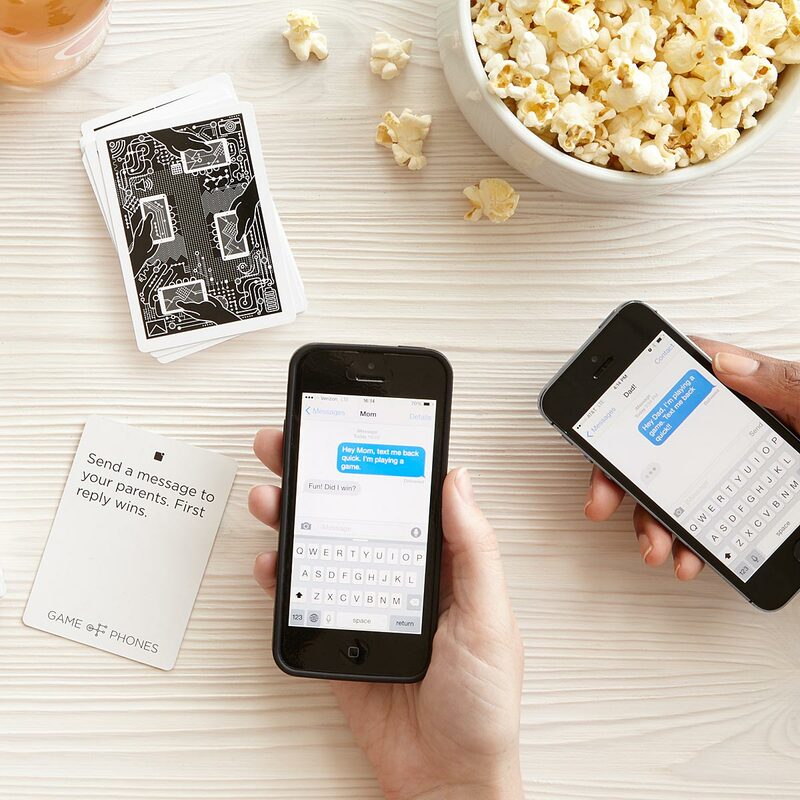 A game that turns phone time into a family bonding activity. Only the fastest and the funniest will survive. 16. 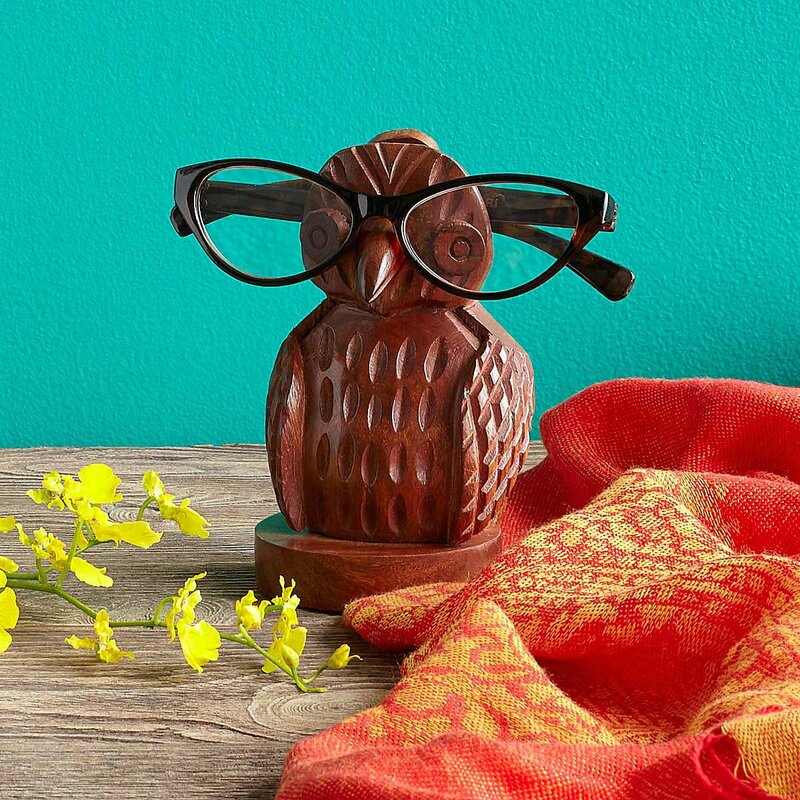 A helpful owl who keeps glasses in one place. Hoo will hold their reading glasses between chapters? This little birdy volunteered for the job. 17. 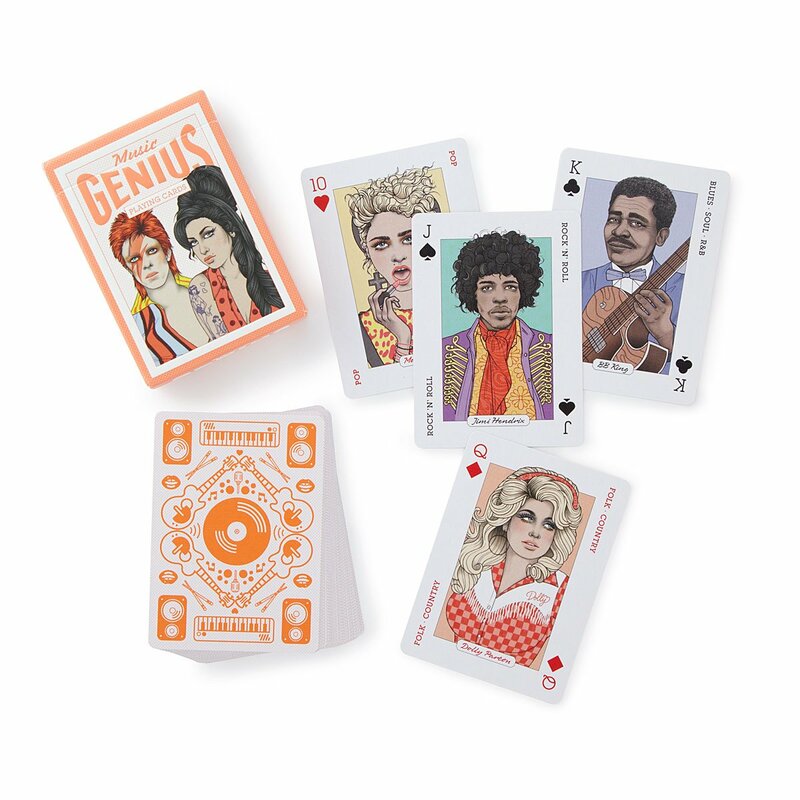 This deck lets them play cards with the queens and kings of music. Bob Dylan, Lady Gaga, and Jimi Hendrick just showed up to poker night.